will keep on giving long after their treatment has ended. and our custom created sterling silver jewelry. Gift cards come packaged up pretty and are available at the salon with a menu. Sorry, gift cards are not redeemable for cash. Valid for 7 years from date of purchase. the intense hydration of the active ingredients in the Hydradermie gels. No massage, not a facial. and finishing mask suited to your skin. nutrients to penetrate. Results are radiant and long lasting! Utilizing the latest updated equipment and super infused gels. penetration of specific powerful ingredients, this facial gives the most visible and long lasting results. 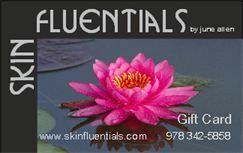 Purchase the gift card for a certain amount and allow the receiver to choose what they would like. of any of our award winning services and our skincare products.